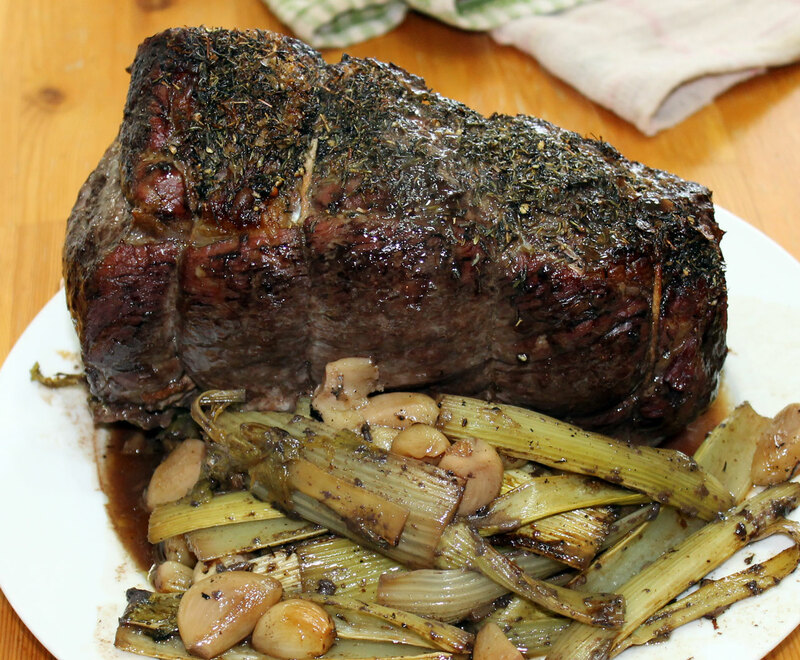 This roast was made using a top-sirloin roasting joint, but you could use any boned and rolled beef roasting joint that you have. For the timing of the roast, I found this handy calculator. All you need to do is to put in the meat you are cooking (beef in this case), how you want it cooked (we like it rare, but it does have settings for medium and well-done), and the weight of your joint (3lb, 12oz for my beef). It then calculates how long it will take to cook and gives you the cooking temperature. For my beef, I needed to roast it at 180°C for 1 hour and 15 minutes. This recipe does contain wine, but the alcohol will boil off during the cooking process. If the wine is still a concern, simply leave it out and replace it with some bone broth. It will still be just as good, but the gravy may be paler in colour. 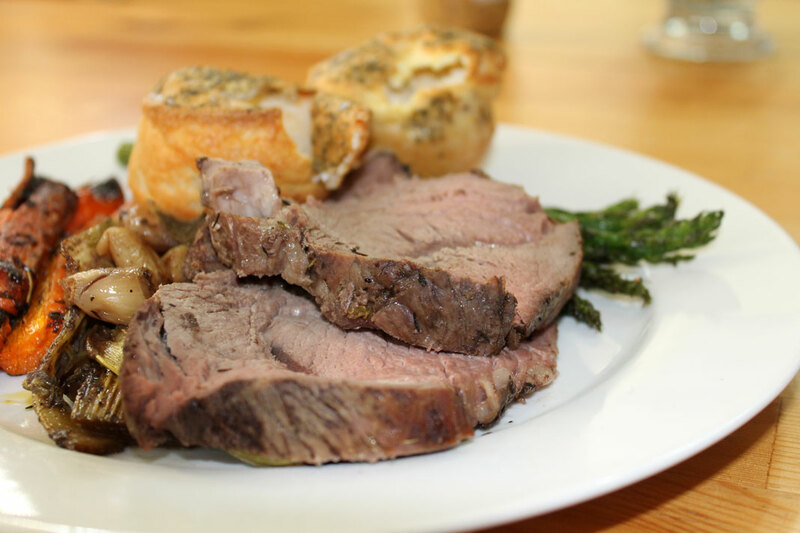 If you don’t serve Yorkshire puddings and mustard, this would be AIP friendly… and the beef still tastes just as good. 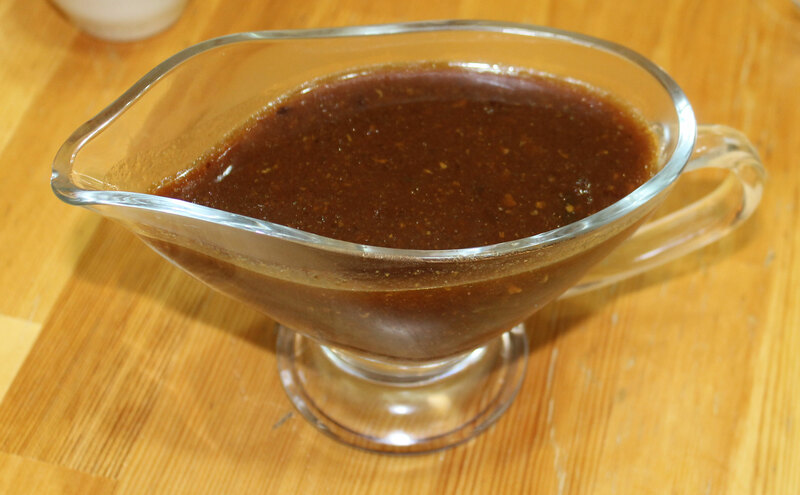 1-2 cups bone broth – preferably homemade from grass-fed beef bones. 1 hour before cooking, remove the beef from the refrigerator and allow it to come up to room temperature. This ensures even cooking. Preheat the oven to the temperature given in the link above – for me this was 180°C/350°F. Place the celery in a roasting tin and scatter over the peeled garlic cloves. Pour over the wine (if using), and then add 1 cup of bone broth (if not using wine, add 2 cups of bone broth). Place the beef on top of the celery, with the part with the most fat uppermost (this will help to keep it moist). Season the beef well with sea salt, and then sprinkle with dried thyme. Place the roasting tin in the oven (middle shelf), and roast for the time given in the link above – for me this is 1 hour 15 minutes. Once the roast is done (test using a meat thermometer – for rare beef you want the internal temperature (measured at the thickest part) to be 50-55 °C/120-130 °F . For Medium 60-65 °C/140-150 °F and for well done 65-75 °C/150-165 °F. But please, don’t cook decent, grassfed beef to well-done! It has very little fat and so little marbling that if you do cook it to this temperature it will almost certainly be dry, tough and tasteless. 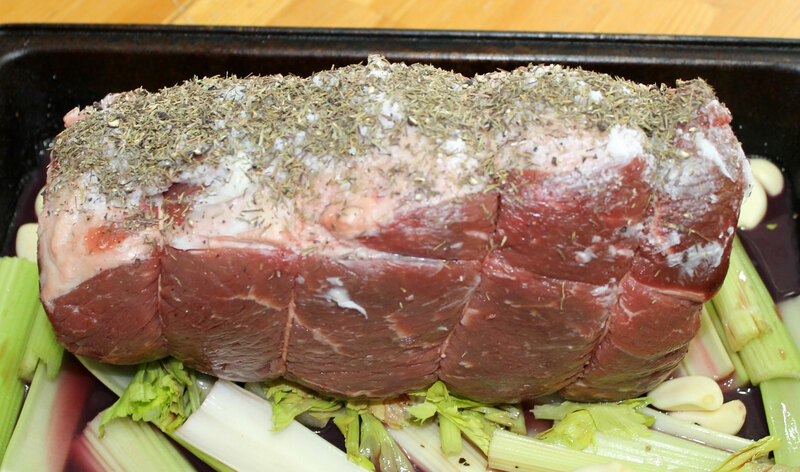 Once your beef is cooked to your liking, remove it from the oven and allow it to rest in a warm place for 30-40 minutes. I served this with the gravy and Yorkshire pudding recipe from here. The Yorkshire Puddings are not AIP-friendly as they contain eggs. They are Paleo however. 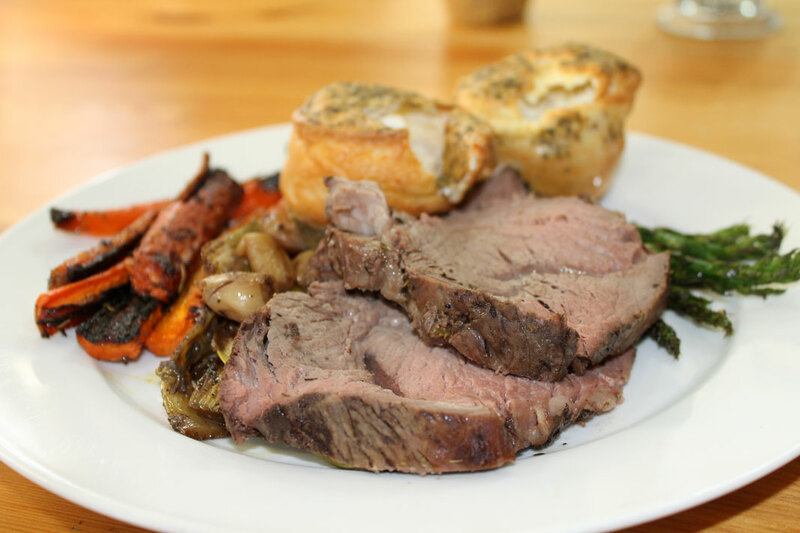 Slice the beef thickly and serve with the celery and garlic, some gravy and Yorkshire Puddings and any other veg that you like to serve with roast beef. 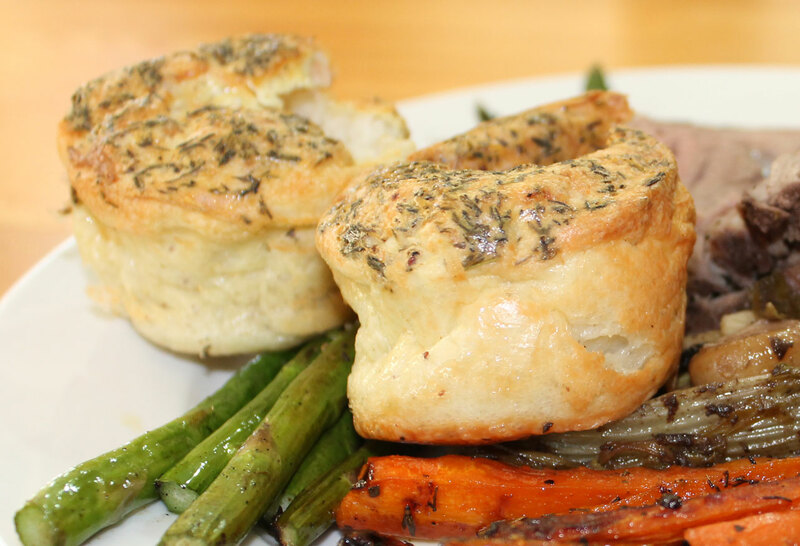 I served this with the yorkshire puddings, honey roasted carrots and roasted asparagus. 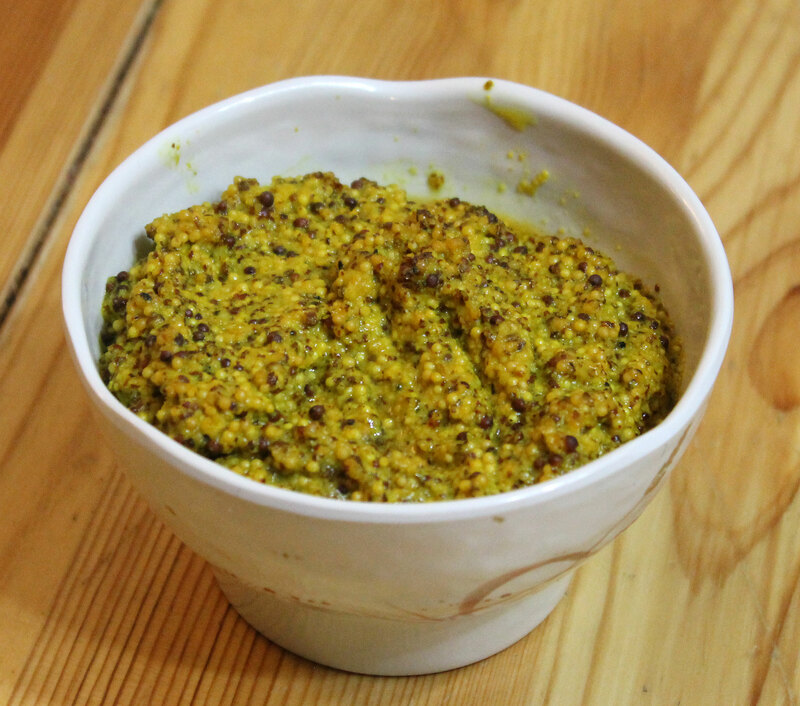 Don’t forget the mustard (not AIP). 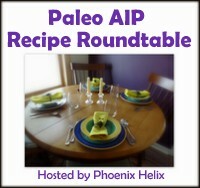 This entry was posted in Autoimmune Protocol Foods, Paleo Autoimmune Protocol, Recipes and tagged AIP freindly, dairy-free, gluten-free, grain-free, paleo, primal, roast meat. Bookmark the permalink.